It may be one of your least favorite things to spend time and energy on, but many would argue that it is THE MOST IMPORTANT thing you will do all year. Failing to get it set in place could send you in a year-long tailspin of behavior issues, inconsistency, and hair-pulling frustration. I'm talking about classroom management, of course. As a new teacher, I can vividly remember my teaching mentor asking me what my behavior management plan was going to be, and I naively responded with something like "well - I've got tons of new stickers." Yikes! I can only imagine what my mentor was thinking. Where I was teaching - stickers were not gonna cover it. Not even a little bit. Little did I know that I would be walking into the lion's den and I was not prepared for the bite. It didn't take more a week before I knew I was in hot water and needed to make some major changes in my behavior management plan. Although I was COMPLETELY unprepared for that first year of teaching when it came to classroom management, I've learned a few tricks along the way. 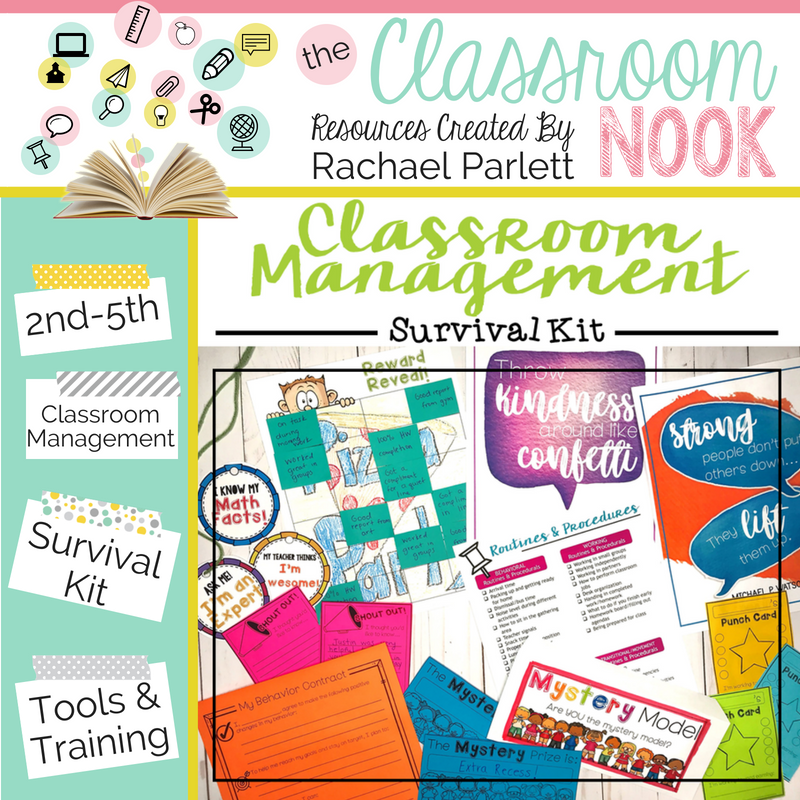 It's NEVER too late to take back your classroom and "start over" with your classroom management. 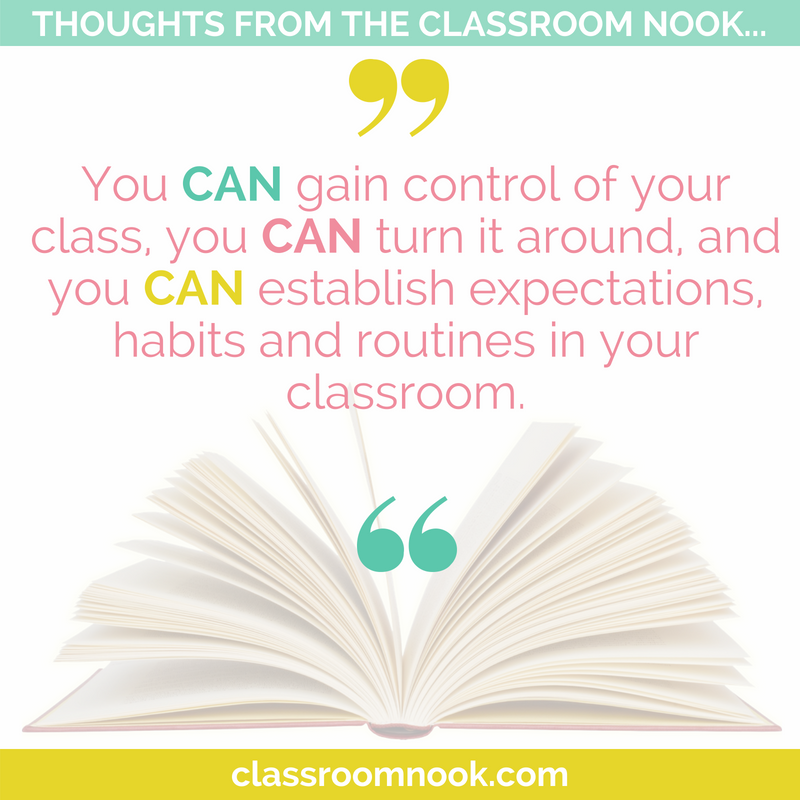 No matter where you are in your school year when you are reading this, know that you CAN gain control of your class, you CAN turn it around, and you CAN establish expectations, habits and routines in your classroom. 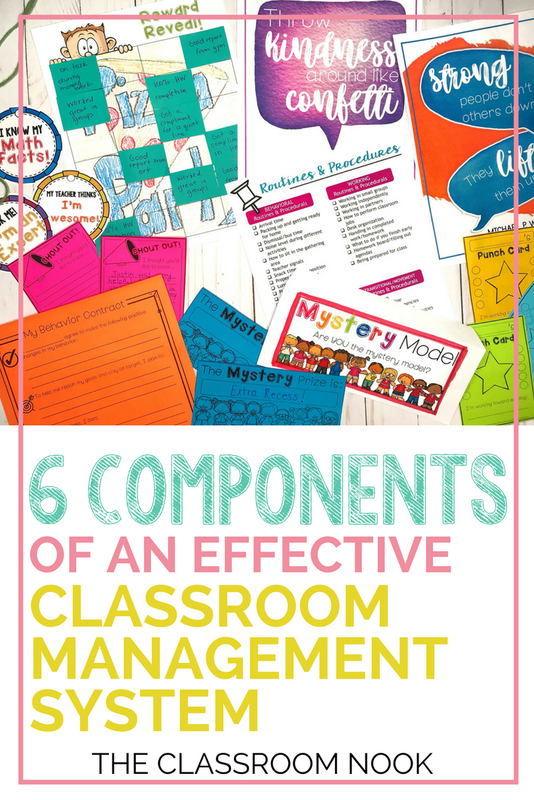 If you feel like your classroom management plan could use a little tune-up, I invite you to evaluate your own classroom management plan and check for these 6 major components. If you do NOTHING else when it comes to developing your classroom management plan, please, oh please, make sure you're setting clear expectations for your routines and procedures. The best time to do this is in the beginning of the school year, but if you've missed that train, then do it ASAP! 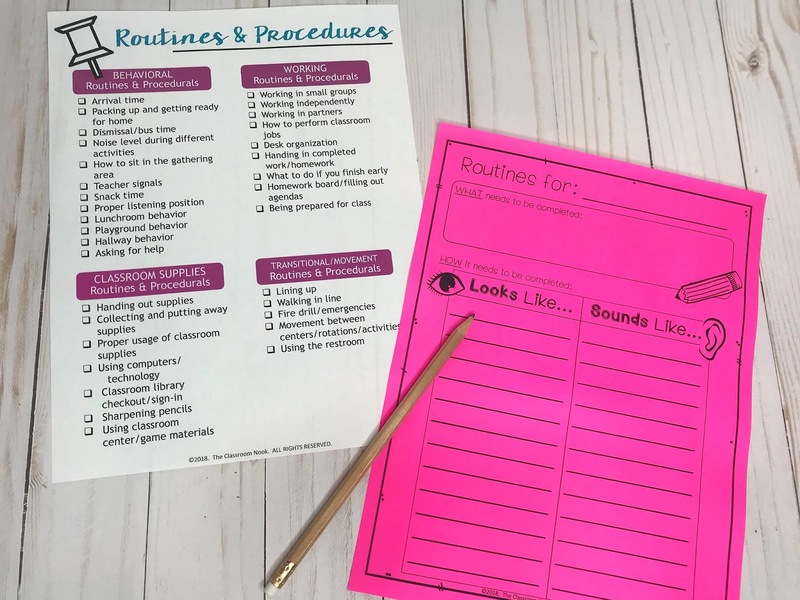 I've written an entire blog post all on how to get your routines and procedures up and running, so be sure to check that out and grab your FREE checklist (shown above) to make sure you've got all your ducks in a row! When students know your routines and procedures, they will know your expectations. Having set expectations will allow your students to know what behaviors they need to exhibit in order to succeed in your classroom. However, having those expectations in place is not enough. Students need to know how they are doing in meeting those expectations. A whole-class behavior chart will give you and your students a quick check-in as to how their day is going. It also gives them an opportunity to change their day around if they start slipping. I like using a simple clip chart that is easy to maintain and easy to assess student behavior. At the beginning of each day, students start with their clothespin on “Ready to Learn.” As the day progresses, you can easily monitor students’ behavior by having them move their clip up or down. 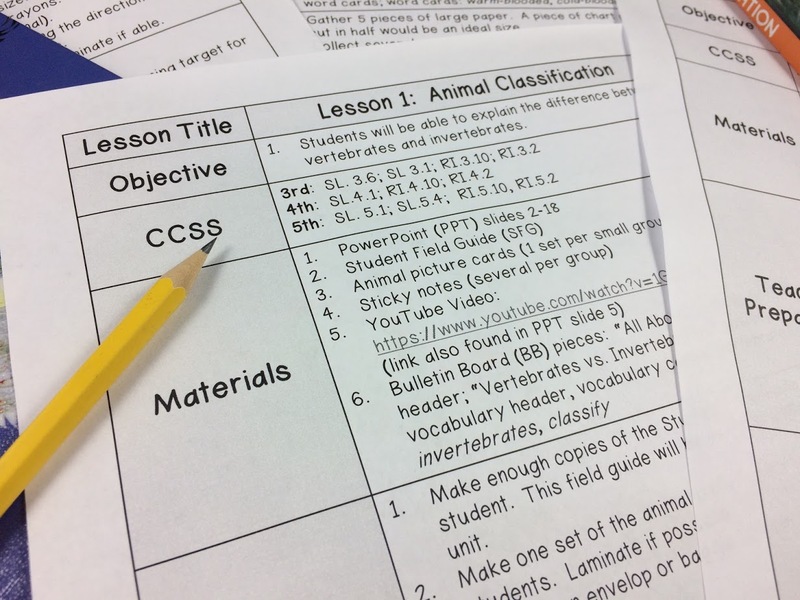 The chart is meant to be fluid, giving students the opportunity to improve their day, even if their clip has been moved down. In addition to your daily behavior chart, you may want an individual management tool or two. My favorites have always been punch cards, accomplishment necklaces, and behavior contract. These tools help students work toward individual goals and be rewarded at their own pace. 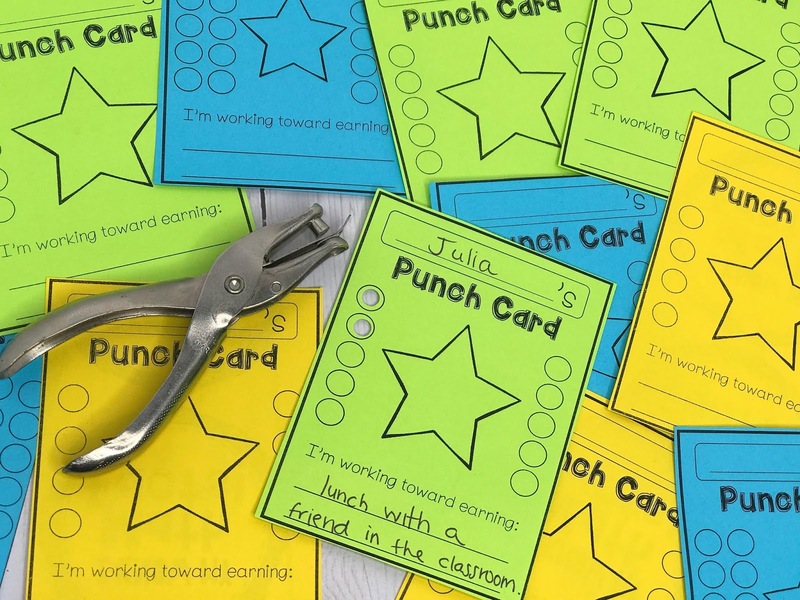 For example, with punch cards, students can each be working toward different behavioral goals in order to earn a reward that is meaningful and motivating to them. 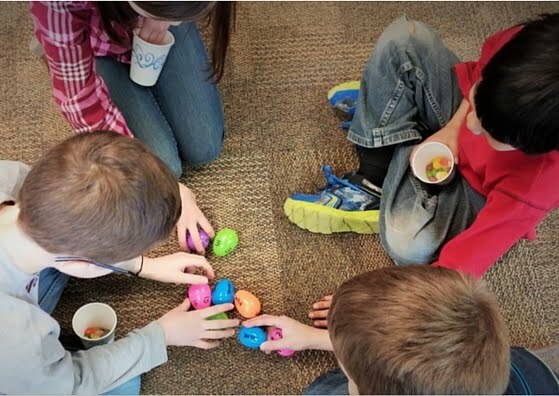 One student might be working toward improving their behavior during small groups, while another student could be trying to decrease the amount of negative disruptions he/she has during the day. He or she receives a punch in their card each time they show progress toward their goal. When the card is completely punched, a reward is earned! Accomplishment necklaces are equally as effective. It's also a great way to highlight a students positive behavior and/or accomplishments for the whole school to see. 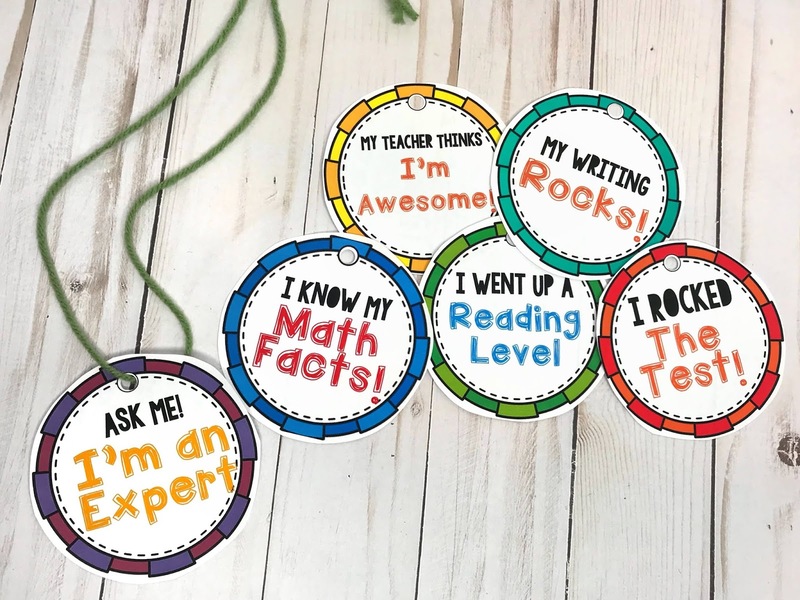 When a student demonstrates a desired behavior, or a specific accomplishment, he or she will wear the corresponding accomplishment necklace for a day. 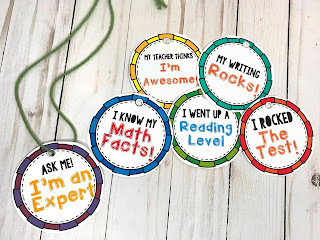 These necklaces can be reused when the student returns the necklace at the end of the day. These necklaces can be used at random. 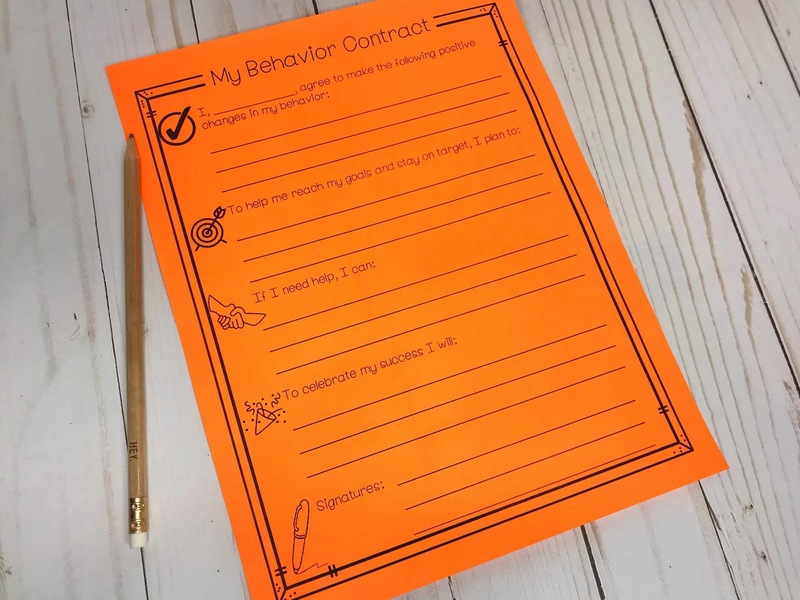 Finally, if a student needs a behavior goal in writing with action steps to help them reach that goal, use a behavior contract. The teacher, student, and parent are all in agreement of this contact and sign to show their support of this goal. To use class reward jar: Decide on a class reward together (ex. movie, pizza/ice cream party, extra free time…etc). Discuss with students the specific behaviors you are looking to see them display. 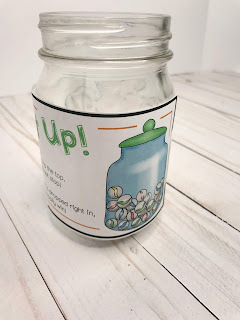 Each time you see students showing the desired behavior, drop one or more marbles into the jar. When the jar is full, the reward is earned. Option: Put a deadline on how long students have to fill the jar to create urgency and motivation. To use a mystery reward: Prepare a small poster with the reward shown as text or an image. 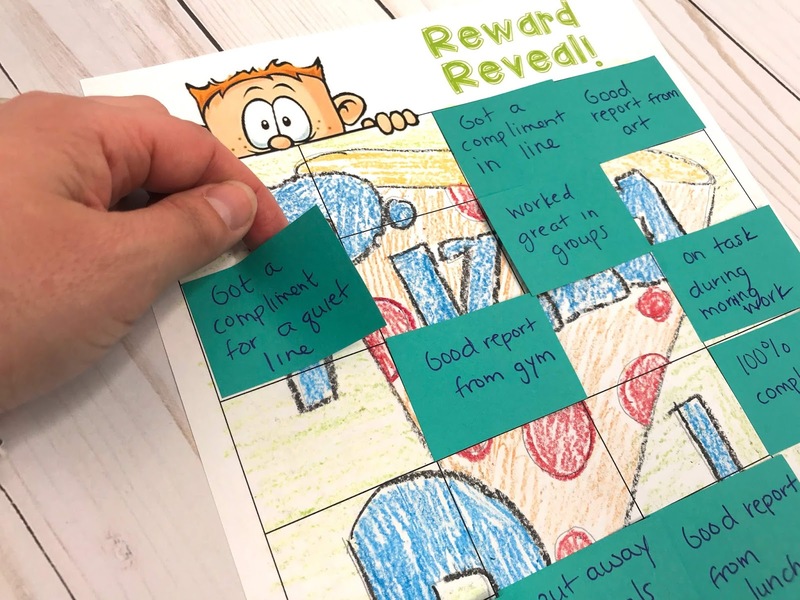 Cover the text or picture with post-it notes, each note showing a behavior that you're looking for such as "walking in a quiet line" or "coming in quietly from specials." Be sure that they entire picture/text is covered. Display you poster in a prominent spot in your classroom. Each time a behavior listed on one of the post-it notes is display by your class, remove that post-it from the poster, revealing a small portion of the prize. When all post-its have been removed, the reward is earned. To use mystery model: Secretly choose one student in your class (do NOT reveal that student’s name to the class). Tell students what specific behavior you are looking for to be modeled correctly. Choose a reward (again, do NOT tell the class what the reward is). 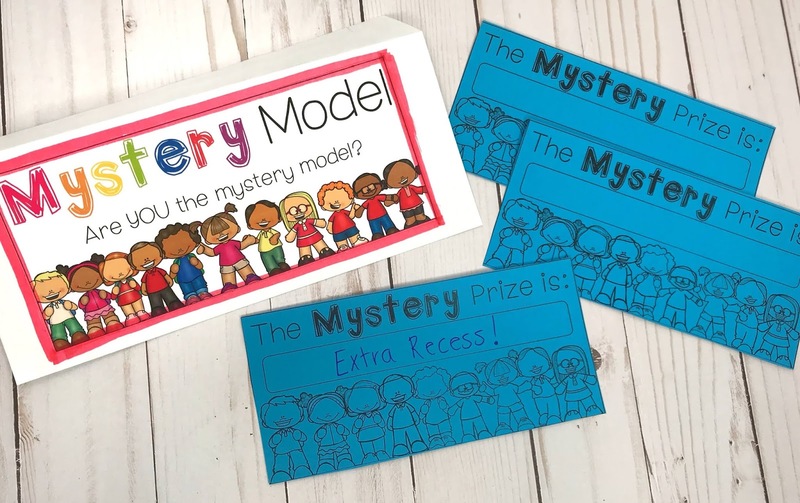 If the “mystery student” displays this behavior throughout a specified amount of time, the whole class earns the reward inside the envelop. It’s up to you whether or not you want to reveal the mystery model once the reward has been earned. An important part of managing your students is managing your relationship with your students’ parents. 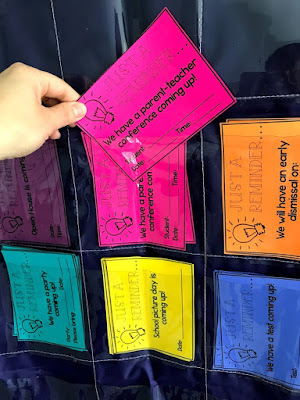 Make that communication easy by prepping some parent reminder notes for getting in touch with families about important events and reminders. On top of that, sometimes sending a note home just to brag about one of your students is the perfect way to build that school-home relationship. 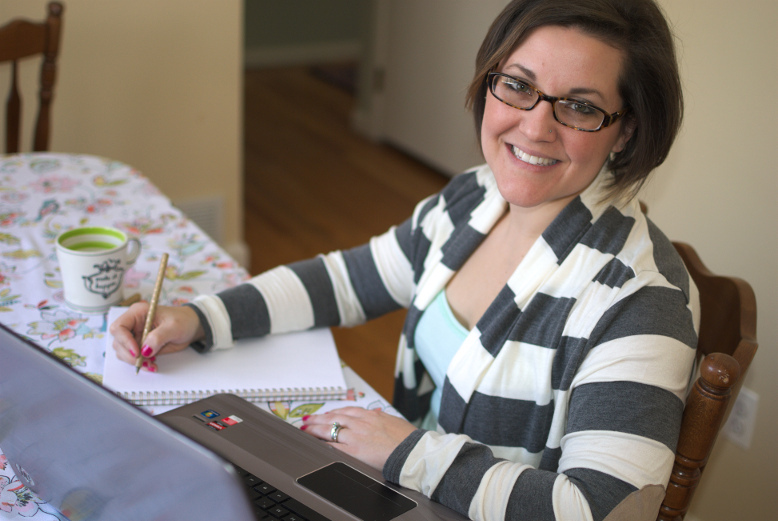 Be sure to have notes on hand as well to grab at a moments’ notice when you spot positive behavior. 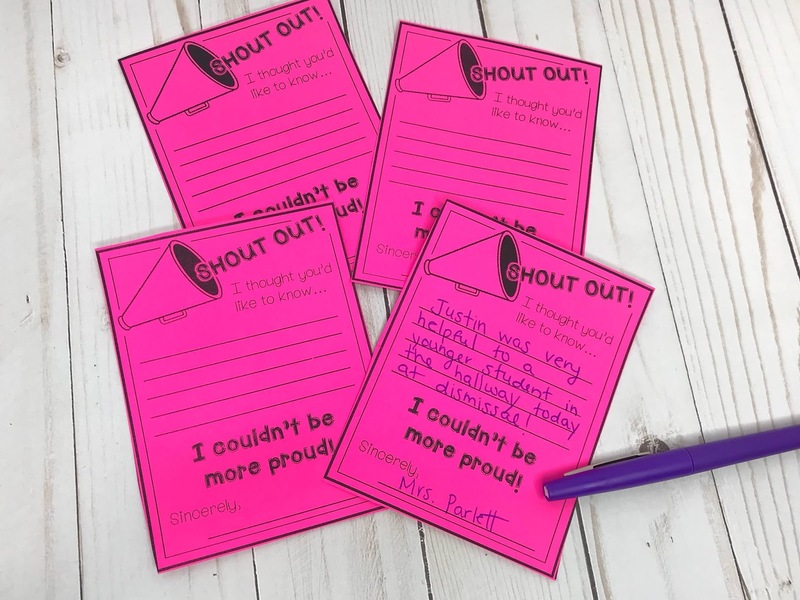 Make it a point to send home notes often to random students showcasing their positive behavior. Throw positivity around like confetti! 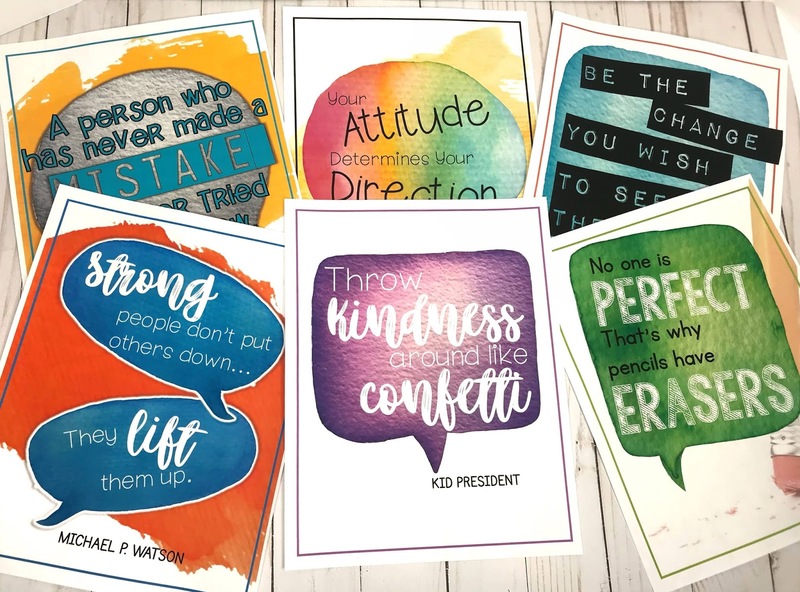 Be sure to place posters and decorations with a positive message all around your classroom to create a learning environment that invites positive behavior and interactions with each other. You might even choose a positive quote to display for students to really focus on. Create a spot near your door where students will see the chosen quote as they enter and leave your room. Discuss what this quote means to them and how they see it in action in and around their classroom. Change up the poster often with a new quote to focus on.